An argument between two women is what led to 15-year-old Seth Cross being shot in the head Sunday as he watched TV in the living room of his Killeen home, arrest records said. 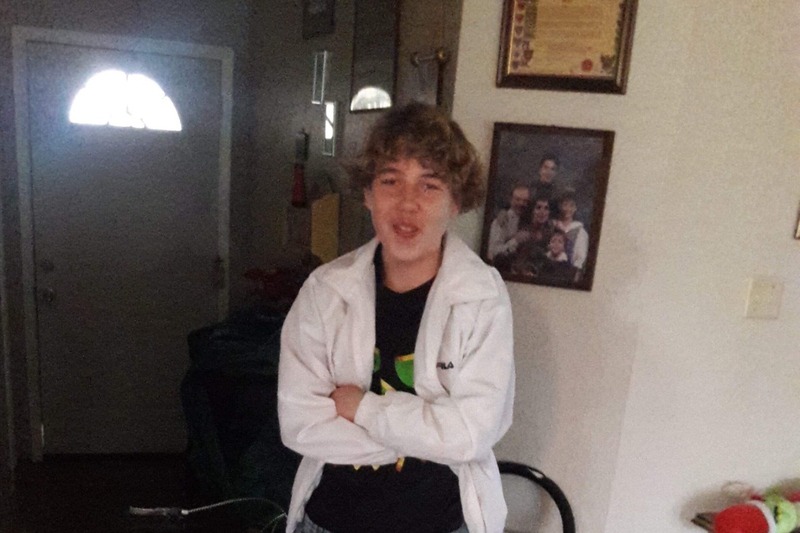 KILLEEN, Texas — An argument between two women is what led to 15-year-old Seth Cross being shot in his head Sunday as he watched TV in the living room of his Killeen home, arrest records said. Officers were called to the area of the 3200 block of Longview Drive earlier in the day about an altercation between two girls. As a vehicle drove away, it was hit with a rock, which shattered the back window, the arrest affidavit said. Hours after the altercation, Preston Devon Harrington, 18, Dante Hervey, 22, and Daran Cedric Hill, 41, and others met at a convenience store. A witness told investigators that he heard Hill and Hervey say they were going back to “shoot up the house,” according to the affidavit. The three went back to the house around 11:40 p.m. and fired a shotgun and revolver into the home where Cross, adults and other children were, the affidavit said. Cross was shot in the head and taken to Carl R. Darnall Army Medical Center in critical condition. He was moved to Baylor Scott and White Hospital where he remains in critical condition. Witnesses described the vehicle that was in the area earlier as the same vehicle that drove away after the shooting, according to the affidavit. Officers traced the car back to a home in the 2100 block of Wright Way, where they executed a warrant and arrested Harrington and Hervey. During the investigation, officers found surveillance video that showed Hervey going from the house to the vehicle with a blue bag and then taking it back into the house. Shortly after, the video showed a woman taking the same blue bag to a neighbor’s house. The video also showed Harrington go to the neighbor’s house. Officer’s spoke to the neighbor who turned over items that were left at his home after the shooting, including a shotgun and the blue bag with an empty revolver and another with five empty casings along with Harrington’s clothes inside, arrest records said. Harrington confessed to officers that he went to Cross’ house with Dante Hervey, 22, and Daran Cedric Hill, 41, and fired a shotgun into the home. Investigators found a shotgun shell casing in the driveway of Cross’ home, the arrest affidavit said. During the search of the house, police found plastic bags with meth inside a red and white bag, money and digital scales in the master bedroom, the affidavit said. Donna Hervey confessed to owning the red and white bag but said she was not aware of the drugs or the money. Donna Hervey is charged with possession of a controlled substance with intent to deliver. Her bond is set at $50,000. Dante Hervey is charged with aggravated assault causing serious bodily injury. Harrington was on bond for burglary at the time of the shooting. A GoFundMe was set up to help the Cross family with medical expenses.